Alphonso Davies made Major League Soccer and Canadian football, or soccer if you prefer, history on Tuesday. After two days of negotiations, Bayern München and the MLS club Vancouver Whitecaps came to an agreement that will see Bayern pay an initial €10 million that could eventually rise to €15 million including all bonuses and sell-on fees making Davies the most expensive Canadian national team player in history. It is a significant deal for both Bayern and the Whitecaps. Bayern have never spent that kind of money on a player as young as Alphonso Davies. The Whitecaps, on the other hand, have never been involved in a transfer of this magnitude. In fact, this is the biggest deal for an outgoing homegrown MLS player. As a result, the feedback has been somewhat skeptical among some Bayern fans. Many Bundesliga fans remember the negative example set by Freddy Adu and his failed transition from North America to the European game. Others, however, have quickly pointed out that MLS has changed since Adu broke into the like as a 15-year-old in 2004. Playing 87 games with DC United Adu then struggled to make the jump to Europe when he signed for Benfica – after playing for ten clubs in the last eleven years, Adu recently signed for the United Soccer League club Las Vegas Lights. Over the last 14 years MLS has slowly, but surely, moved away from being a retirement league for older European stars towards becoming a competition that produces its home-grown talent and also attracts younger players from South America. It is true; the system still is not perfect. Among the major football leagues, MLS still lacks behind when it comes to giving playing time to U-23 players. That said playing time was not something that Alphonso Davies lacked while playing for the Vancouver Whitecaps. The attacking-winger made his MLS debut aged 15 two years ago in July 2016 against Orlando City – the match ended 2-2. In that first season, Alphonso Davies played 299 minutes across eight games in 2016. The following seasons Davies saw his playing time increased significantly to 1,053 minutes in 26 games throughout the 2017 season. He then became a regular starter this season. So far in 2018, Davies has played 20 games for 1,509 minutes and recorded three goals and six assists. In fact, Alphonso Davies finally became a consistent attacking threat despite being often used as a wing-back by Whitecaps head coach Carl Robinson. In what has been a difficult season for the Whitecaps Carl Robinson often experimented with a 4-3-3 formation. With an abundance of wingers to his disposal, Robinson often started the 17-year-old Davies as an attacking-winger only to drop him further back as Robinson brought on alternative attacking players – such as Brek Shea, who often features for Vancouver in the second half. For the most part, Robinson’s tactical innovations turned out to be a failure this season as Vancouver has struggled for goals all year. Much of that, however, has been due with Fredy Montero leaving the club and Vancouver failing to sign a consistent goalscorer – forward Anthony Blondell often appears to struggle for fitness, and Kei Kamara is not the same all-out scorer as Montero was. Vancouver are currently eighth in the MLS Western Conference when it comes to goals scored – only Seattle (18 goals), Colorado (24 goals), Portland (28 goals) and San Jose (29 goals) have scored fewer goals. Those are numbers to keep in mind when dissecting Davies’ overall contribution of three goals and six assists this season. In fact, when comparing Alphonso Davies and his numbers to other young talent signed by big clubs this season, the Canadian wunderkind comes off relatively well. Real Madrid, for example, recently signed Brazilian talents Vinicius Junior (18-years) and Rodrygo (17-years). Both Brazilians cost the Spanish giant the gigantic sum of €45 million. 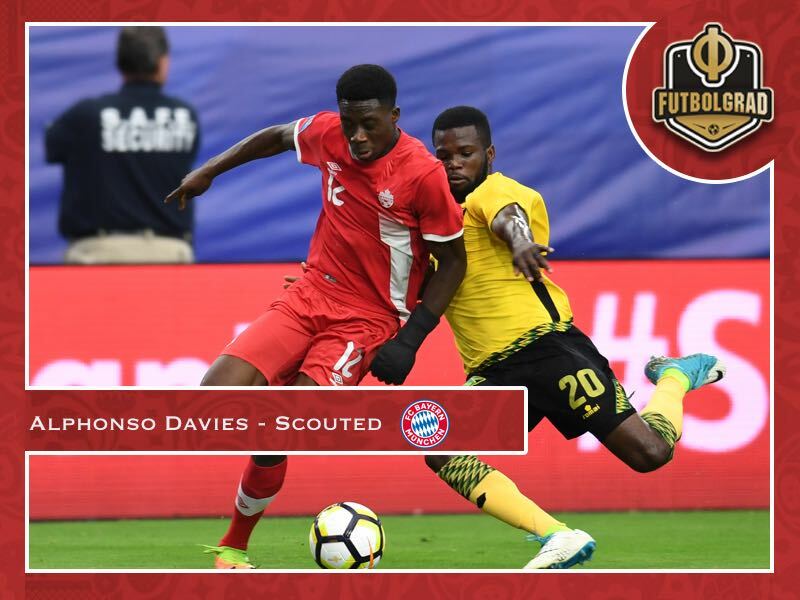 Alphonso Davies, in comparison, is a steal for Bayern – especially when one compares some of the key statistics between the three players. In 20 games this season Alphonso Davies has scored three goals and six assists. He won 2.3 tackles per game, made 1.2 interceptions per game, 1.3 key passes per game and managed 4.5 dribbles per game. In eleven games for Flamengo Vinícius Junior managed four goals and three assists this season. He averaged 0.8 tackles, 0.3 interceptions, 1.1 key passes and 2.6 dribbles. The 17-year-old Rodrygo, in the meantime, played eleven games for Santos in the Serie A. Scoring five goals and two assists, Rodrygo also averaged 0.5 tackles, 0.4 interceptions, 1.2 key passes and 2.4 dribbles per game. It is, of course, difficult to compare leagues and the Campeonato Brasileiro Série A is without a doubt a more competitive league than MLS. But at the same time, in comparison, Davies’ numbers are impressive and given that Bayern have paid only a fraction of what Real had to pay for the two Brazilians suggest that the German giant have done well in this transfer. One of the most pressing concerns about fans will be about the 17-year-old’s transition from MLS to the Bundesliga. Alphonso Davies will see out the season with Vancouver before making the move to Munich in November where he will at first train with the club before becoming eligible for club football during the second transfer window that opens on January 1. At that point, Bayern will be based at a training camp, likely at the Aspire Academy in Qatar, where they can easily integrate Davies or choose to send him out on loan for seasoning. But will Davies be ready to make the move abroad? Bayern, in fact, have walked away from signing players directly from South America after their bad experience with Brazilian defender Breno. Instead, the club has focused on established European players for almost a decade. But in the last year or so Bayern have heavily pushed into the North American market. Players from North America, the thought process goes among Bayern’s officials, are easier to integrate due to the very similar lifestyle in North America and Germany. Furthermore, MLS academies have made great straights towards developing their own players and Bayern are interested in tapping into that market. 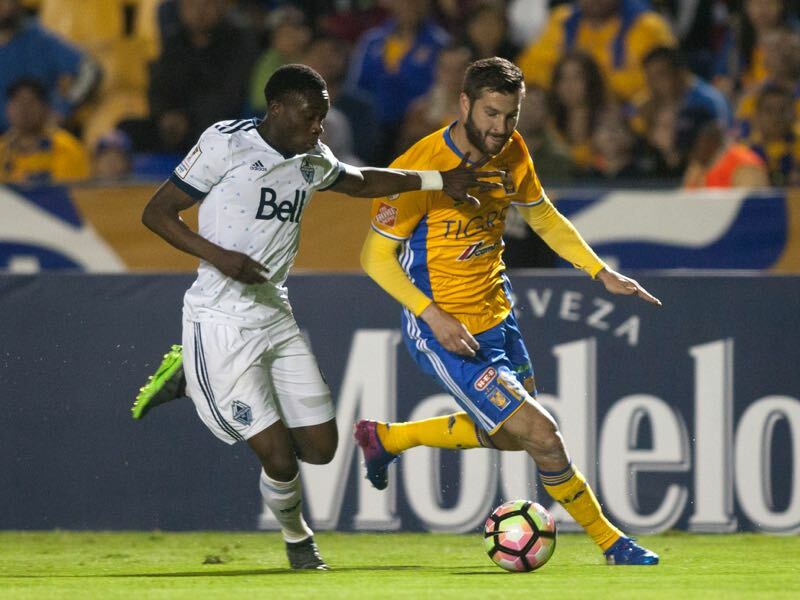 Alphonso Davies, in the meantime, has already had to make the move from Edmonton to Vancouver at a young age, in order to join the Whitecaps Residency program, and is already used to switching localities. 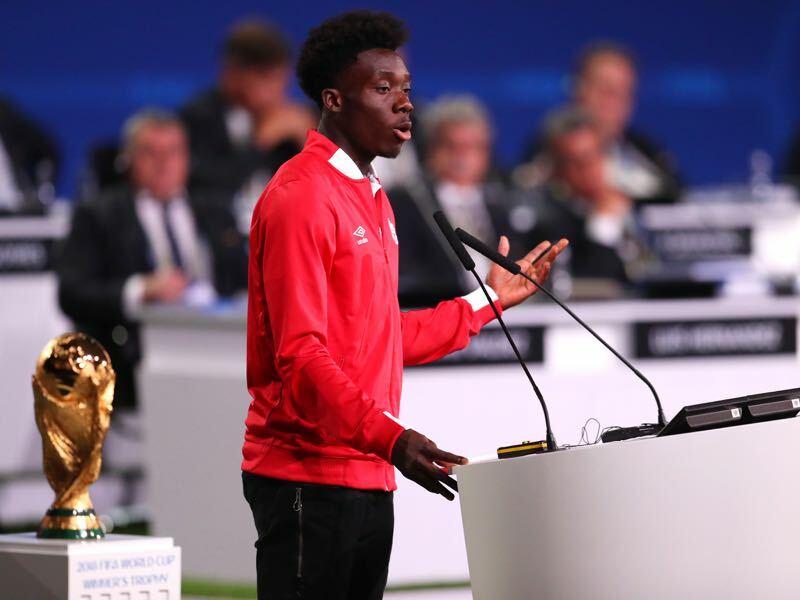 Furthermore, the 17-year-old gave an impressive speech at the opening congress of the 2018 FIFA World Cup, which went a long way in North America successfully bidding to host the 2026 World Cup. In other words, Alphonso Davies has both the ability and the maturity to make the jump to Bayern. At the same time, while this is a historic deal for Canadian soccer the work has just begun for Alphonso Davies as he wants to set a blazing trail for future young Canadian soccer players. Do you see him becoming another successful example of an american “landed” at Germany, following the footsteps of Pulisic? He is Canadian. Best, the Futbolgrad Network team. Yes, but I mean he is from that continent (North America). Do you see that transfer as the beginning of MLS being deemed as a prolific market.